“Underscoring the power of realism in 3D printed models, Stratasys (Nasdaq: SSYS) and Google Arts and Culture are re-imagining some of the world’s most cherished artifacts and historical monuments through additive manufacturing. Backed by advanced color and multi-material functionality of the Stratasys J750 3D Printer, historians can now re-create these items digitally and physically – raising both awareness and accessibility of ancient history. Google Arts and Culture is capitalizing on Stratasys technology for its Open Heritage Project - designing and creating historical pieces with multi-material and multi-color 3D printed prototypes. With 3D printing, these remains can be more effectively preserved and shared– with files available for download around the world. The result is enhanced accessibility, in-depth understanding, and enriched appreciation of centuries-old cultures. The Stratasys J750 3D Printer offers some of the broadest color ranges for creation of highly realistic models. Leveraging more than a half million distinguishable colors and materials – from rigid to opaque, flexible to transparent – design teams can better align output with design objectives - all while streamlining iterations and advancing functionality of 3D printed models. 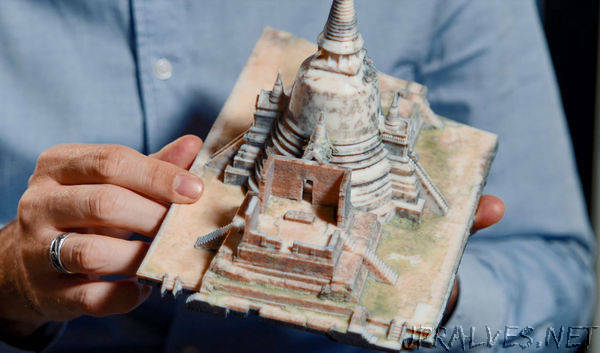 Key pieces of the Google Arts and Culture Open Heritage Project are available anytime online – exploring the backstory and 3D printed representation of each historical location. Visitors can access the models at https://artsandculture.google.com/project/cyark.